This week I had some fun playing around with the Github Archive's dataset on Google's BigQuery platform. You can find all sorts of interesting repositories querying this huge dataset. It's a great resource. This week we're highlighting some trending React repositories from Github. It's always exciting to see the ways developers are using and expanding React's capabilities. We'll take a look at a collection of form inputs, a React Native weather app, a component that let's you create a Pinterest style grid with animations and a few other interesting libraries and components. 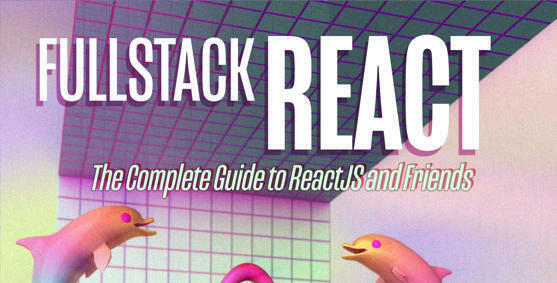 If you're not quite ready to dive into the world of React + Redux, but are finding that grabbing data from your AJAX requests and using the local state in your components to manage the data is getting a bit cumbersome, this library can help you bridge the gap. This library works great for read-only data that's used on the client. Check out the blog post for some more details on the inspiration behind this library from Heroku. Need a Pinterest style grid with animations? Check out this library. It allows for the option of using CSS transitions or the Motion UI library. Find more demos here. Inspired by the Waypoints library, this library allows you to execute a function whenever a user scrolls to (or past) a certain point. You can have a waypoint function fire not only when scrolling, but when the window is resized, when the component is initially mounted or even when it is re-rendered. This collection of widgets allows for creating form inputs with a full set of features. Some of the inputs this library offers include: dropdown lists, combo boxes, multiselect, date/time picker, calendar, and more. Find more demos and docs here. 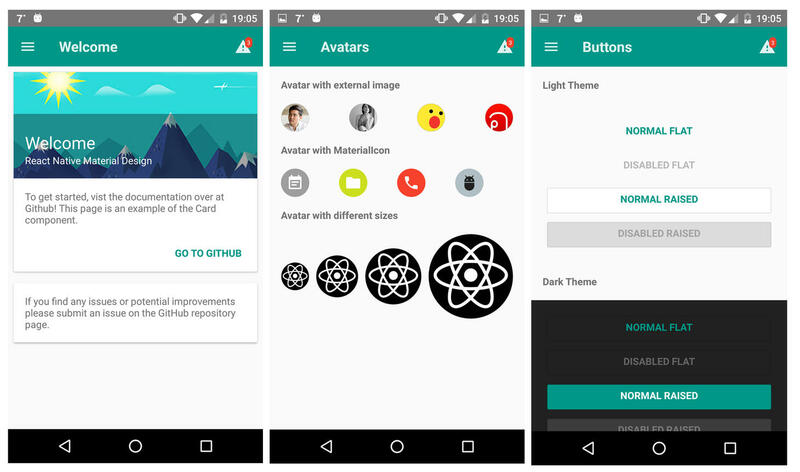 Components for React Native that implement the Material Design from Google. Find the documentation/installation instructions here. A sample project of a weather app -- inspired by Pocket Weather Australia. It uses Realm and Flow for type checking.